Carl Adams prepares for the reinfusion of his engineered T cells Tuesday at the University of Kansas Hospital in Kansas City, Kansas. Carl Adams has an aggressive form of blood cancer that has resisted multiple attempts to treat it through chemotherapy. So in September, the 47-year-old father of two young daughters traveled halfway around the world with his family from their native Australia to The University of Kansas Cancer Center. There, a clinical trial is underway to test a therapy that harnesses the power of a patient’s own immune system to attack malignant cells. It’s called CAR T-cell therapy: removing T cells, a type of white blood cell, from a patient’s body, genetically engineering them to recognize and attack the patient’s tumors, and putting the T cells back into the patient. On Tuesday, after a traffic delay caused by the Kansas City Royals parade, Adams’ engineered T cells arrived back in Kansas City, where they were reinfused in his body. The whole procedure took less than five minutes. 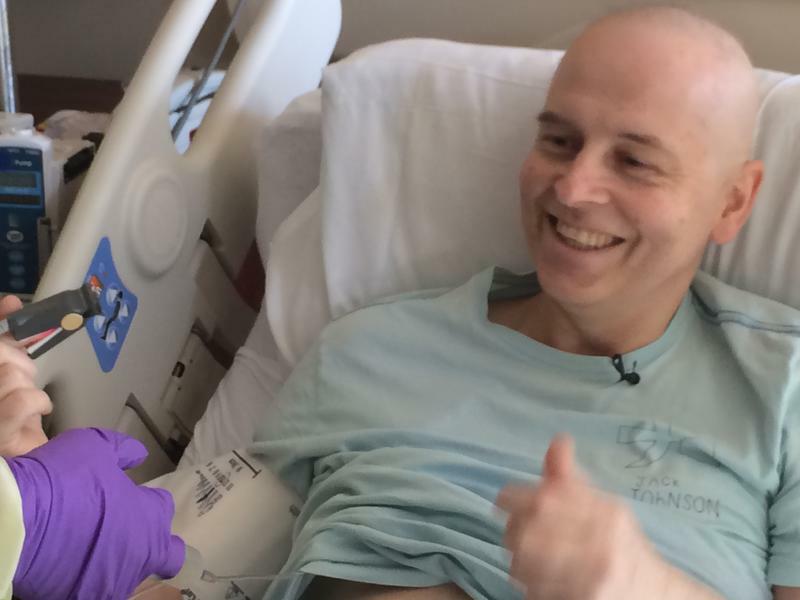 “They’re like super cells that are going to attack the cancer and we’ve got plenty in here for them to chase and chomp, so we’re hoping they do their job over the next couple of days,” Adams said minutes before a nurse injected him with the T cells. 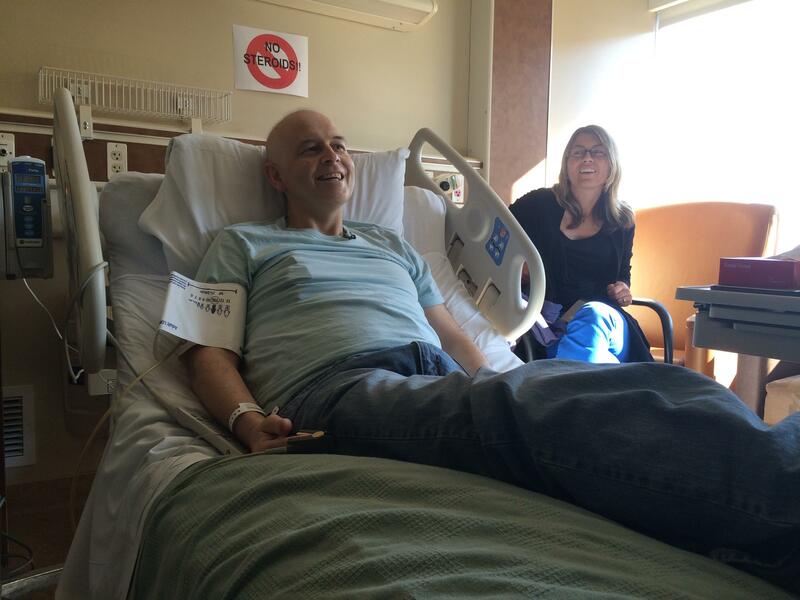 Even if it works, his doctor says he’ll still need a stem cell transplant from a matching donor. And there are known side effects, including fever and low blood pressure. But already, with three patients having received CAR T-cell therapy at KU, referrals are coming from as far afield as Portugal and Canada as well as the U.S. The second patient to receive the treatment at KU, a 27-year old Atchison, Kansas, mother of two, is said to be doing well. Although lots of cancer treatments have been hailed as “blockbusters” only to disappoint, CAR T-cell therapy (CAR stands for chimeric antigen receptors) has generated lots of excitement among researchers. Unlike chemotherapy and radiation, which kill “good” and “bad” cells alike, CAR T-cell targets the disease by zeroing in on specific proteins found on the surfaces of the malignant cells. “What I can tell you, as someone who’s been taking care of leukemias and lymphomas and transplant patients for 26 years now, this is the most hopeful I’ve ever been in my entire career,” says Dr. Joseph McGuirk, Adams’ physician and the director of blood cancers and stem cell transplants at KU Cancer Center. Adams has an extremely aggressive form of cancer called diffuse large B-cell lymphoma, or DLBCL. Among adults, it’s the most common form of non-Hodgkin’s lymphoma, a group of blood cancers. Adams had tumors in his chest, abdomen and bladder. Out of options in Australia, he decided to seek treatment in the United States. So Adams, a business consultant for the global consulting firm KPMG; his wife Stacey; and their two daughters, ages 11 and 6, uprooted themselves from their home in Perth and made tracks for Houston’s M.D. Anderson Cancer Center. Doctors there pointed him to KU Cancer Center, where Phase II of the CAR T-cell clinical trial was underway to determine whether the treatment is effective and to evaluate its safety. Adams and his wife found themselves a furnished apartment just north of the Country Club Plaza, enrolled their girls in school and embarked on the medical odyssey that culminated with the infusion of his engineered T cells on Tuesday. But because the chemotherapy had suppressed his T cells, first there was a period of watchful waiting until he’d regained a sufficient number to be extracted. Once that happened, his T cells were shipped to a lab where they were genetically modified to create special receptors on their surface, the chimeric antigen receptors from which the therapy takes its name. 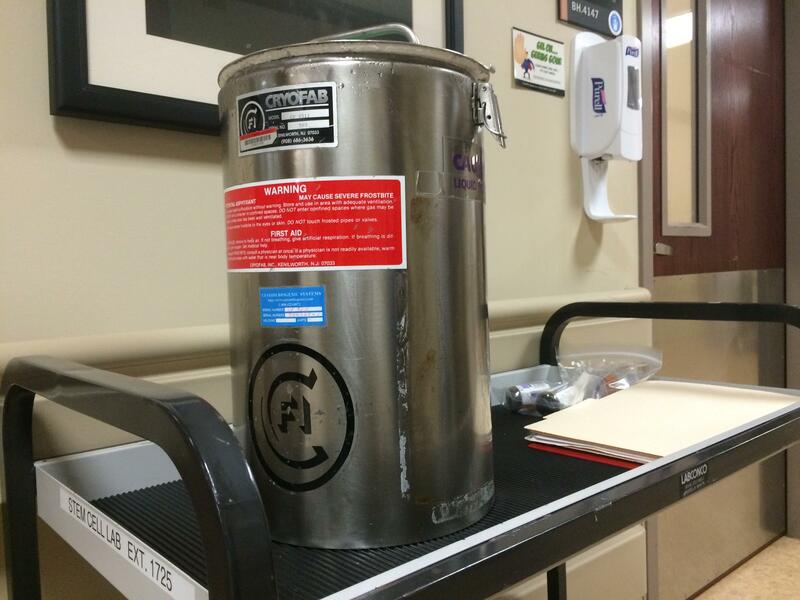 Billions of Adams' engineered T cells were shipped to KU Hospital in this canister on Tuesday and reinfused in his body. The engineered T cells were then grown to number in the billions. After that, they were shipped back to KU in a canister that was cooled to sub-zero temperatures to keep them preserved. At that point, the cells, a cloudy mixture amounting to no more than a few teaspoons in volume, were injected into Adams’ bloodstream. By Tuesday night, Adams had begun running a fever, the result of his T cells releasing cytokines, small proteins activated as the T cells attack the malignant cells. “These T cells can be so potent in releasing these molecules, so powerful against the cancer, that you can have a bad case of the flu times 10,” McGuirk says. The symptoms are usually manageable, although the second patient at KU to receive the therapy ended up in the intensive care unit for several days. “She did O.K., and overwhelmingly, patients do O.K., but it can be quite dramatic,” McGuirk says. The Phase II clinical trial at KU comes after early-stage trials at the University of Pennsylvania that demonstrated CAR T-cell therapy’s effectiveness in patients with advanced acute lymphoblastic leukemia, or ALL. In many cases, patients went into complete remission and have remained cancer-free. Penn licensed its technology to engineer and grow the T cells to Novartis, the Swiss pharmaceutical giant, according to Porter. The hope is that manufacturing can be developed on a scale sufficient to make it practical to carry out immunotherapy on large populations of patients. “People used to think that cell therapy was so personalized and so individualized that it was never going to be practical on any large scale, but I think those manufacturing issues have been worked out,” Porter says. Adams and his wife Stacey just before Adams' T cells were injected into his bloodstream. Even if the therapy works, however, McGuirk says Adams and the other patients enrolled in KU’s trial will still need stem cell transplants from matching donors. While CAR T-cell therapy may prove curative, it’s simply too soon to tell. Indeed, researchers caution that while early results of CAR T-cell therapy have been promising, the clinical trials are still in their early phases and large groups of patients have yet to be treated. And while KU is bearing the cost of treatment for enrollees in the clinical trial, if the therapy does prove successful, it undoubtedly will end up being very expensive. Porter is just as emphatic. 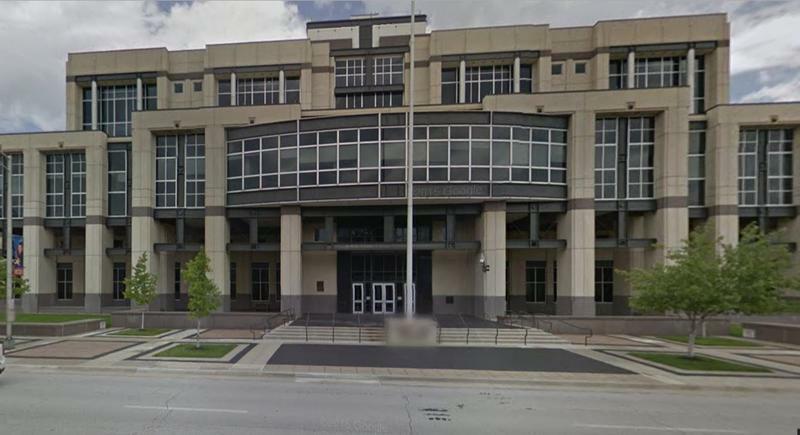 More than two dozen lawsuits alleging that a laparoscopic device used to break up fibroid tissue caused cancerous cells to spread in women’s bodies have been consolidated in federal court in Kansas City, Kansas. The device, known as a power morcellator, was the subject of a U.S. Food and Drug Administration warning last November. The agency said it posed a risk of spreading unsuspected cancerous tissue, notably uterine sarcomas, beyond the uterus and shouldn’t be used on most women. Kansas and Missouri are in the bottom half of the class in a new report from the American Cancer Society’s Cancer Action Network. The report, “How Do You Measure Up,” judges states on a variety of policies related to cancer control and prevention. It uses a traffic signal color scheme to indicate state legislative progress: green for a positive trend, red for serious shortcomings and yellow for somewhere between. An agreement between the University of Kansas and Children’s Mercy will strengthen research, education and clinical ties between the institutions in oncology and beyond, officials said Wednesday at a signing ceremony.